Satan is constantly trying to twist and distort Christian celebrations for his glory. Why can’t we do the same to one of his “celebrations”? It’s that time of the year again. Temperatures are falling, leaves are changing colors, pumpkins are decorating porches . 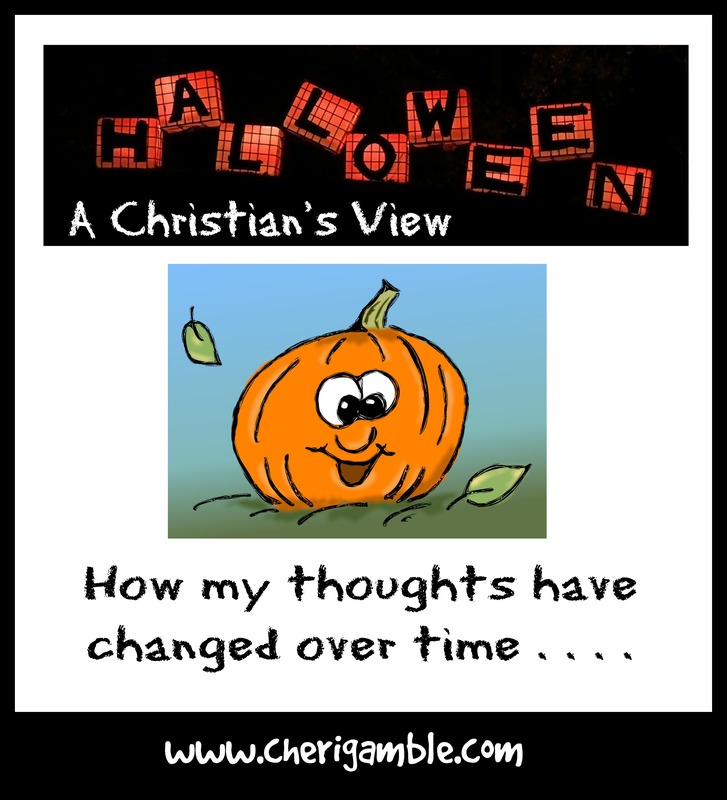 . . and Christians are participating in the never-ending debate about the celebration of Halloween. 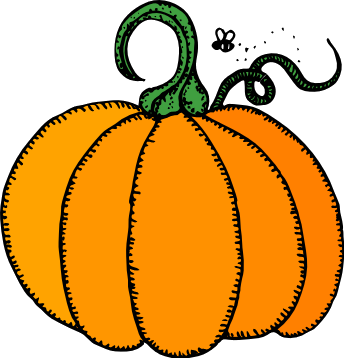 Is it right for a Christian family to join in the secular celebration of Halloween or not? I understand the debate. As a child, I went trick or treating with my family. As a teenager, I delivered tracts door to door on Halloween as an alternative to trick or treating. As an adult, I struggled with this question with my own children and, for many years, decided not to participate. I have been through years where we turned out the lights and watched movies in the basement. I serve at a church where we have a Fall Family Festival as an alternative and outreach to the community. I know the dangers of the occult and the warnings to avoid even the appearance of evil. But I let my children go trick or treating in our neighborhood last year and I am going to let them go again this year. Because I believe that the opportunities for good far outweigh the appearances of evil. Last year on Halloween, I couldn’t help but notice that many of the houses in our neighborhood had their porch lights on. As I looked down the street, I could see neighbors who were normally inside their homes standing on their porches or right inside their front doors waiting excitedly for children to come asking for candy. These were our neighbors . . . people within our sphere of influence . . . people we are called to share the love of Jesus with . . .
and they were all waiting . . . inviting us to come up to their doors with our children . . . inviting us to be part of their lives for this one night. What other night is there when our neighbors actually WANT us to come to their door? What other night is there when it is EXPECTED that we approach them, that we are INVITED to their homes? What other night is there when we can open OUR doors and other families will actually WANT to come to us? But so many of us spend this night in the basement with the lights off. When I looked down my street last year, I couldn’t help but notice the opportunities that were there, and I couldn’t help but think of the message we were sending by keeping our children inside. Were we somehow communicating to our neighbors that we felt that we were better than they were, that we were too “spiritual” to associate with them on this night? And that’s how our 12 year avoidance of Halloween was broken. Yes, I know that Halloween is a pagan holiday. Yes, I know that Satan is very real. I understand the struggle that takes place in the spiritual realm. But I believe that our God is bigger. Our God is stronger. Our God is much more powerful than Satan and his forces. We are called to be the light of the world. But the light of the world can’t shine if it is hidden under a bushel . . . or in a dark house . . . or in the basement with the lights off. We are called to be the salt of the earth. But if the salt never gets out of the shaker, how can it do any good? What does it look like to the world when we are so concerned with whether or not Christians should participate in Halloween activities that we miss the opportunities to be light and salt that this very night provides? My kids will not dress like ghosts, goblins, or witches. We will not attend haunted houses. But we will reach out to our neighbors on this night. We will walk down our street, say “hello”, build relationships, and show our neighbors that we do not think we are better than they are, that we do not have a “holier-than-thou” attitude. We will stop judging the world and start loving our neighbors instead. And maybe, just maybe, we will begin to make a difference in our sphere of influence as a result. Are you looking for a Christmas gift that will make a difference in the lives of the people on your list? Try one of these books available from Ministry Mom! I think that I’ve had a similar debate within myself in recent years. I do not want to look worldly or make a decision that points someone away from Jesus, but the question is – what will point them to Jesus? Today, I’m planning on celebrating Halloween with my daughter. We will decorate the house and dress up. We will avoid witches, etc. but have fun playing dress up and being part of the community. This can definitely be a tough issue to resolve. I think every family needs to decide this issue for themselves. Sometimes Christians spend so much time debating topics like Halloween, though, that we forget about the more important things . . . like being a part of our community. Thanks for your comment! Cheri, Thank you so much for visiting CMB. It’s nice to meet you! I agree with your post completely. We’ve done Halloween, and for years lived on a street with only three houses where we had the only children, so we didn’t participate then. Now we’re back in a busy subdivision and our puppy loves having the children come to the door and we love talking with them and oohing and aahing over their costumes. It’s a great way to let our light and love shine. Blessings! Thanks for your comment! I think that the potential for building relationships with our neighbors is so great on Halloween. And I love what you said about “oohing and aahing” over costumes. Parents LOVE it when we do that and it’s a great way to show interest in their lives! I agree wholeheartedly. As believers seeking to be in the world but not of it, it is far too easy to let go of one side or the other of this tension. I think it is possible to use Halloween as an opportunity to intentionally engage our neighbors in loving, non-threatening ways while not participating in the dark spiritual aspects of the holiday. We did the same thing with Hindu holy days when we lived in South Asia, visiting our neighbors with the appropriate gifts and using the open doors that their festivals provided as opportunities to build those relationships. What’s more, we then played up our own Christian “holy days” by inviting them around for special Christmas and Resurrection celebrations. Wise as serpents and innocent as doves. And above all, viewing “others” with the love our Lord feels for them. If he was willing to “eat with sinners,” how much more should we be willing to share in the celebrations of our neighbors. I think what you said is truly the key . . . viewing “others” with the love our Lord feels for them. Sometimes in our zeal, we forget the love part! And I think it is great how you were able to serve as such a great witness to your South Asian neighbors. Thanks for sharing! I’ve also had this debate, but I’ve looked at it like you do. Look at the good part of it rather than the bad. Let our God outshine as usual and just partake in the good festivities! I love your comment — “Let our God outshine as usual . . . “. That is so true! Thanks for commenting! Very true! We’re not a big fan of Halloween, but we occasionally hand out candy. I love this post. Sounds kind of like what my parents went through when we were kids! I think I will be allowing my future kids to trick or treat. What my parents did I think is a good idea too: have your kids go to a seniors home! It made the older people SO happy to hand out candy to us, see costumes, etc. We spent time playing cards and stuff with them too 🙂 Turn it into something good. I love the idea of having the kids go to a seniors home . . . what a great way to bless others! I bet the older people absolutely loved it! Thanks for commenting. Certainly we shouldn’t be in our basements with the lights off, and you make a valid point about the availability to share with others. We don’t celebrate Halloween, and don’t plan on it in the future, but neither do we judge others who do. Alternately, I don’t live in town so that makes it easier for our family not to be involved. What I have learned is most important is praying and seeking the Lord in each decision. May He always guide you. Yes, it’s so confusing! I’m a PK, so of course we never participated in Satan’s holiday. Then, as a young mother, I took my kids to Fall Festivals at church. Personally, I think that is the best option. But , I love your perspective. Go out and be salt and light- yes! I love the senior home comment too. How wonderful to minister to the elderly! I found you from FibroMom. This is a great article. As a former wiccan priestess, I can say I know both sides of this annual conundrum. I get the reasons to avoid this “holiday.” Here’s my now Christian take. The Lord God created every day. Every. Single. Day. They are all His and satan doesn’t get any. Not one. No matter what people on either side want to think. Thanks for sharing this. Love that – God created every day and satan doesn’t get any!!! Thanks for your comment — it would be amazing to sit down and talk with you some day! My kids were allowed to trick or treat in our neighborhood then we went to our church festival years ago. Over the years The festival became something we didn’t enjoy. Too many kids, scary costumes, kid that would not follow the rules, not enough manpower. My daughter just moved into a new neighborhood and they plan to trick or treat and meet the neighborhood. Unfortunately we are not supposed to get out of the shaker by joining in with a dark world. We are supposed to do so by maintaining God’s standards and sharing the gospel in a way that honors Him. And by directly disobeying Him and what we know to be right is not doing that. The world doesn’t think you a wonderful Christian, it thinks you a hypocrite. You can’t win in the eyes of the lost. I also agree that keeping your lights off does not do anything for God. But rather than JOINING them in their wrong doing we can hand them a tract when they knock. Or better yet, tell them why it is that you won’t be taking part. Doing so with love is not judging it’s being separate. As we are commanded to be.